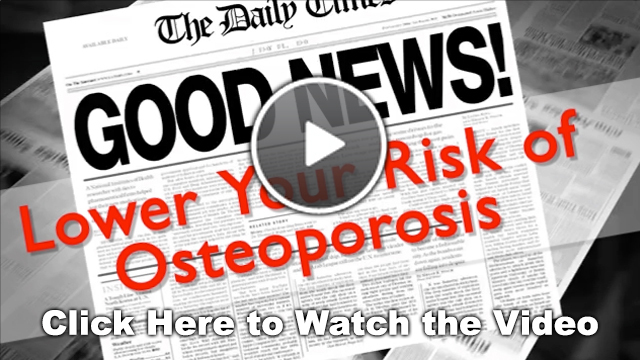 May is National Osteoporosis Month. Millions of people break bones each year because of osteoporosis. As physical therapists, we often work with patients that have experienced fractures. Many of these patients have a condition called osteoporosis - and some don't even know they have it until it is too late. They end up in our clinic after a fall and a fracture. Don't let this happen to you. Take a few minutes to learn more about osteoporosis and ask your healthcare provider about it too. If you do have osteoporosis, a fear of falling because of balance issues, or if you did break a bone and need rehabilitation, we are here to help. Hopefully, you can avoid office visits with us by watching this month's video, exploring the resources, and taking our quiz. Are You Smarter Than a Physical Therapist? True or False. If you have an MRI for lower back pain, it could save you a lot of money. Click here, scroll down to the bottom of the page with the video and we bet you will be very surprised at the answer. This month, we wanted to share a recipe that can help with your bone health. We call it the No Bones Buster Smoothie. It's full of healthy greens (you probably won't even taste them) which helps with the absorption of calcium. Try it and let us know what you think. That's it for this month. We hope you are well, and make sure you look for our newsletter next month on how to start a running program.